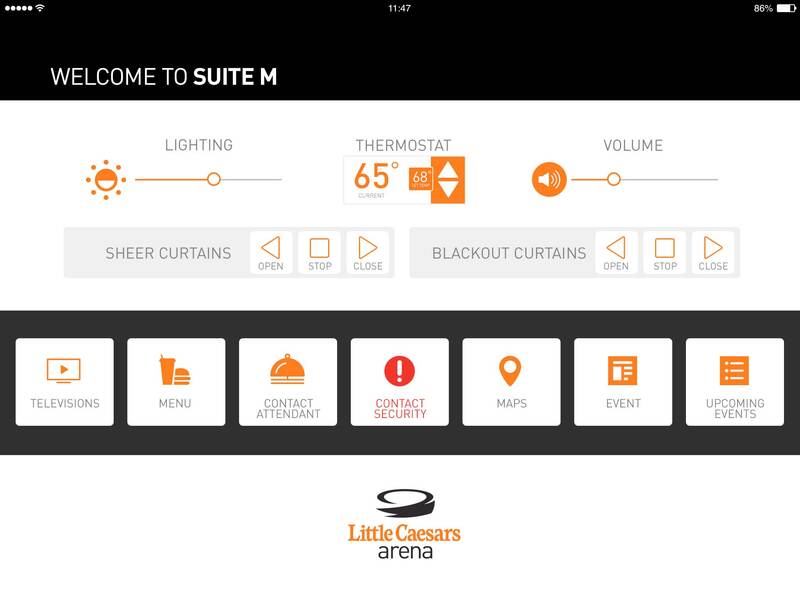 Little Caesars Arena has deployed the Venuetize-developed Suite Control App, which allows fans attending events in the luxury suites to control all TV screens, audio levels, drapery, and the room temperature via an iPad. In addition, they can call for an attendant and access information about venue schedules and arena maps. In an emergency, the Suite Control App also allows anyone in the suite to report an incident via the iPad and quickly indicate what type of emergency it is, so the proper personnel are notified immediately. Through a mobile-first approach to fan technology, Olympia Entertainment is able to offer a completely personalized, relevant, and unique experience to fans attending an event at Little Caesars Arena. This commitment to innovation is integral to the facility’s success and has resulted in recognition across the industry, including Little Caesars Arena being named a finalist in The Stadium Business Awards in the Venue of the Year category.